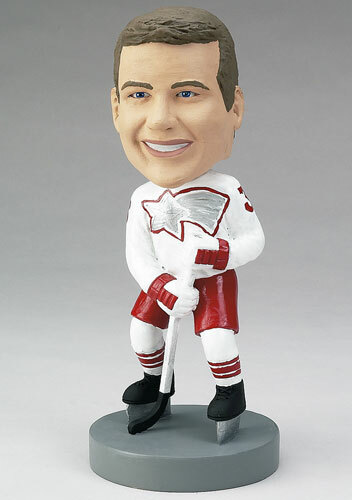 For diehard hockey fans, there is a bobblehead that can be customized to your specifications - complete with ice skates and hockey stick. The jersey can be personalized with team colors and players' names and numbers, to simulate the uniforms of their favorite team or their own teams. Whether you use them to congratulate your team on a season well-played or as a gift to your hockey-loving friend, these custom bobbleheads are great novelty gifts.